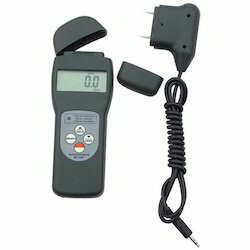 We are a leading Wholesale Trader of water and soil analysis kit and multifunctional moisture meter mc-7825ps from Mumbai, India. We are engaged in manufacturing and supplying of Water and Soil Analysis Kit. 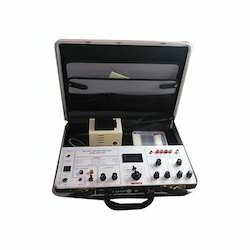 This is a portable instrument system for analysing the features of soil and water compositions. Water & Soil Analysis Kits being offered by us are highly accurate and reliable systems with simple functions. Digital or microprocessor based systems analyse the turbidity, temperature, pH, salinity etc of water and soil. Accuracy: ± ( 0.5% n+ 0.1). Power supply: 4x1.5V AAA ( UM-4) battery. Application: applicable of wood fiber materials, wooden articles, Chinese traditional medicine, , cotton paper, building, soil and other fibre materials. Looking for Water and Soil Analysis Kit ?